Oli Antunes from Wild Life Origin gives us the lowdown on gel nails. 1. What exactly are gel nails? Much like acrylics, gel nails are artificial nails where a gel substance made of liquid and powder, is applied on top of a nail tip thats glued on the natural nail bed, extending the nail and making it look natural. 2. What's the difference between gels and acrylics? Acrylics have been around since the seventies and they still remain the more popular artificial nails as they are very strong. The difference is acrylics are made with an acrylic liquid and powder. It sets quickly and still remains the strongest and longest lasting artificial nail. Gels are also made with liquid and powder combination but when set they resemble a more natural look and are flexible more like a natural nail. In the end, its a personal preference of which technology more suits you. Both have pros and cons. Acrylics tend to be cheaper still yet stronger and longer lasting. Gel nails are more natural looking and probably safer and more gentle on the natural nail. Although, gel nails still require a UV lamp to cure, so some people may shy away for that reason. 3. And what's the difference between hard and soft gels? Hard gels are the traditional strong gel which I explained above and the soft gels are applied with a Gel Polish - for example polishes commonly known as Shellac, OPI Gel, Gelish etc... If you want extension in your nails, you would go for the hard gels, as they are harder and don't chip. 4. How do you apply them? Hard gels are applied like acrylics and gel polishes are applied like conventional nail laquer, except both require UV or LED light to cure. 5. How long do they last? Gel artificial nails should last at least 3-4 weeks. Gel polishes should last 10 days to 2 weeks. After 2 weeks the regrowth of the natural nail will make it look worn, even if they don't start to chip or lift on the free edges. 6. Do they have to be removed professionally? Gel nails have to be filed off, like acrylics and gel polish is soaked in acetone and gently lifted from the nail. 7. What are the benefits of having gels? They are generally more realistic than acrylics as they are thinner. They are more flexible and safer as they are non-toxic. 8. For those who don't do gels, do you have any advice on strengthening nails? The best advice I can give for strengthening nails is to massage cuticle oil on the cuticles and nail bed as many times during the day as possible or as you can remember. The oil nourishes the nail and makes it more flexible, therefore less prone to chipping or breaking. If you don't have cuticle oil on hand, you can use coconut oil, rosehip oil or argan oil. Because only glossy, hydrated hair looks chic blowin' in the wind. 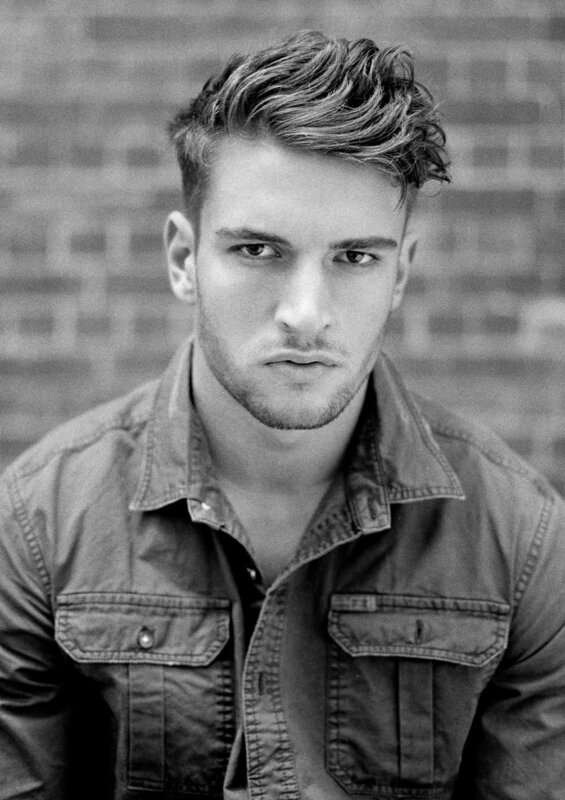 Ali at Wild Life SoGo gives model Sam Harris that effortless, street look for Sneaky Magazine. We're kids in a candy store. Ali from Wild Life SoGo got colouring and chopping: lemon, blue, peach, pink - yes please. We're right, aren't we? Nephan from Wild Life SoGo created these looks. Make sure you head into the salon before your next occasion. 3 tips to fake tanning with Nadine Monley - makeup artist, friend of ours and creator of Summer and Man Tan by Beauty Department by Nadine Monley. 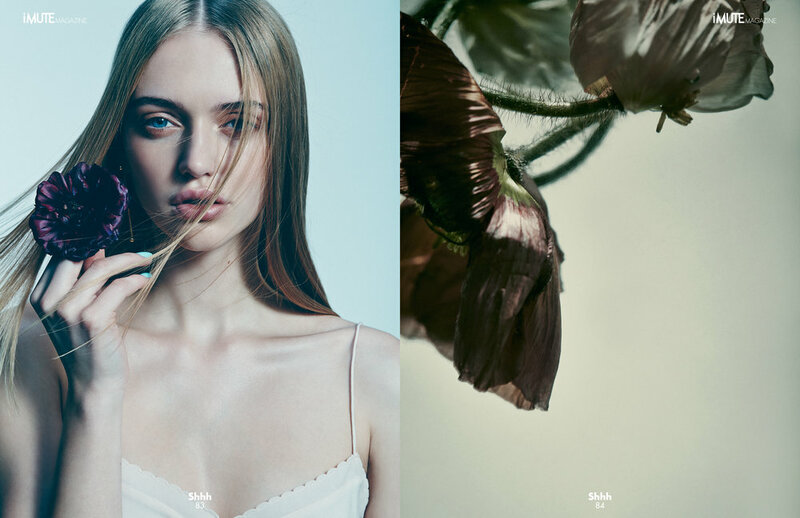 Take inspiration from nature's most beautiful gifts, flowers - just like Ali at Wild Life SoGo did on this shoot for iMute magazine. Cuts and styling by Nephan at Wild Life SoGo. Forget milkmaid braids - these are what you should be wearing. So, have you booked in with Ali at Wild Life SoGo yet? Our beauty guru Isabella Schimid shares how to get gorgeous skin inspired by this shoot with hair by Ali from Wild Life SoGo. “Makeup not only looks better, but it sits better on a well-maintained skin. (When using makeup) it’s so important to start with beautiful skin that glows, and you can achieve this with regular facials or peels. “For first timers and for skincare pros, I recommend the Cosmedix Blueberry Peel. It refreshes and exfoliates the skin without irritation. A gentle acid is combined with active blueberry extracts, it’s soothing so is perfect right before a big event, whether that be a job interview, weddings, or before a well-deserved holiday. “Once a week I recommend using a detox mask. The Payot Masque D’Tox works as a rapid beauty boost. It tells that pollution and stress our skin has been exposed to, to go away and gets everything going. Look at it like a refresher. “Once skin has had deep exfoliation, you’ve got to maintain the goodness with hard working products. Payot’s Hydra 24 Light is an oil-free emulsion - so is perfect for all skin types, all ages, and is ideal for hot and humid weather, just like ours here in Sydney. “When skin is clear and those old skin cells have been removed (I recommend the Payot Gommage Instense Fraicheur, an exfoliator), is when products can really be absorbed and work their magic. Two products that really maximise this freshness are eye creams and serums. Go for hydrating, brightening variations of both to keep discolouration away. I love the way Cosmedix Eye Genius and their Simply Brilliant Serum work. “And don’t forget, for those who love a little sunshine, a sunscreen - either in your moisturiser or foundation - is a must. The Cosmedix Reflect Sun Protection Moisturiser is a full spectrum SPF 15 spray sun block for all skin types. It protects against UVA and UVB rays, so works to prevent burning and prevent ageing." 3 tips to the best cat-eyes with our beauty queen, makeup artist Isabella Schimid. 1. The difference between liquid and pencil eyeliners? Eyeliner pencil is usually made from a cream base and can be used to get a fine line or smudged to get a soft, smokey effect. A liquid eyeliner is in a liquid form and can be more difficult to apply as it can show up any mistakes if not applied well. It cannot be smudged and can create a beautiful defined line. Shu Uemura and MAC have some amazing coloured pencils and liquid eyeliners. For black, Lord and Berry have the best liners - both liquid and pencil - that I have ever used. 3. How do you make the look last all day? Simply using a pencil first then setting it with a liquid or powder eyeshadow will keep the eyeliner in place. Also, try and avoid cream on the eyelid (you can do this by powdering well before applying your eyeliner).